JACK BROOKS VINEYARD started with our excellent inaugural vintage in 2005. 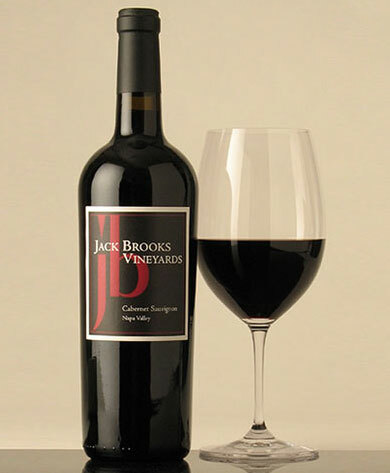 Since our intial release of the Jack Brooks Vineyard 2005 Cabernet, our wines continue to mature. Our vineyard is situated in the Calistoga AVA on rocky alluvial soil at the foot of Mt. St. Helena, 1.5 miles north of the town of Calistoga. Planted in 2000 to carefully selected clones of Cabernet Sauvignon, the vineyard is “dry farmed”. While this approach reduces our overall yield, dry farming produces intense, concentrated flavors in the fruit and the resulting wine. We only produce wines from grapes grown in our vineyard allowing us to control the quality of the wine from the vine to the vineyard to the bottle. Our wine is made by Marco DiGiulio’s team at Bin to Bottle. Marco’s team has taken over making our wine and his years of experience will help our wine continue to improve and develop. Marco subscribes to a minimalist approach to winemaking, letting the unique characteristics of the vineyard show through. Since our wine is made only from grapes from our vineyard, we are very dependent on the weather each year. This produces a wine that truly reflects each year’s growing season. The vineyard management team of Juan and Victor Fuentes have been maintaining our vineyard since 2002. Juan has been working in the vineyards in Napa Valley for many years and Victor is following in his father’s footsteps. When Victor started working with us, he was still in high school. Since then Victor received his BS and MS in Enology. Together, Victor and Juan bring both practical “real world” expertise combined with the latest thinking in vineyard management to Jack Brooks Vineyard. They are truly an outstanding team.